solar windbell (solar 5818) 1,item no :solar 5818. 2,solar panel:0.5v,50MA*4. 3,1 pcs falshing yellow LED. 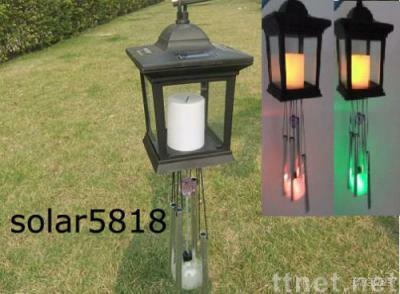 4,1pcs color changing LED+glass ball. Any question,please do not hesitate to contact me.